A health guide to live a long, active and enjoyable life. The consumption of the infusion generates opinions for and against, but in terms of external use, no doubt coffee is a great ally. Coffee is one of the most consumed beverages in the world, the reason for meetings, after-dinner and long hours in sleep, rest at work or an input of energy in the morning. Because of its high caffeine content, it is enough to consume three cups of coffee per day to stimulate consciousness, concentration, memory and learning. It also combats depression and drowsiness, provides energy and generates a sense of happiness. However, even so, the consumption of coffee has aroused conflicting opinions about whether or not it is beneficial for health. But, no doubt external use or internal, it is a great ally. Using of ground coffee grains can stimulate cell renewal so it can be a very effective natural exfoliate. It has an anti-inflammatory effect that calms the skin when it is irritated or reddened. Its astringent effect eliminates odors while promoting deep cleansing, as a natural antioxidant, protects the skin from the harmful effects of free radicals. These, are responsible for premature aging, and its diuretic effect helps eliminate fluid retention, renewing the inactive cells and acting on the accumulation of fat. Today most of the aesthetic industry, products is contained in coffee to improve the appearance of the skin. Some products are made with coffee seeds that help to reaffirm, reduce and define. The “coffee therapy,” which is offered in some beauty centers, consists of performing a bleaching peel using a coffee-based facial mask, which revitalizes, cleanses, hydrates and exfoliates the skin, leaving it fresher and softer. Caffeine helps to dissolve more easily fat cells that accumulate in the skin, reactivates circulation, increases the levels of molecules “fat burners” and has a magnificent lipolytic effect. To treat cellulite with products from the market, you can opt for using gels based on coffee. However, it is important to know that caffeine is not miraculous. It is advisable to accompany the aesthetic treatment with a good diet, frequent exercise, drink plenty of water is suggested. You can also prepare your own anti-cellulite coffee product at home easily and quickly. Every time you drink coffee, pick up the remains of the preparation. Then apply directly to the areas of your body where you have cellulite (thighs, buttocks, abdomen, arms) massaging with ascending circular movements to activate circulation. Over time, you will see how the skin changes its appearance. Another option is to grind the coffee beans and apply to the skin with a little water, then cover with plastic wrap, leave for a few minutes to absorb and rinse. Dark circles appear due to poor circulation or due to cells are not activated freely; it can be due to lack of sleep, overwork, poor diet or the consumption of alcoholic beverages. 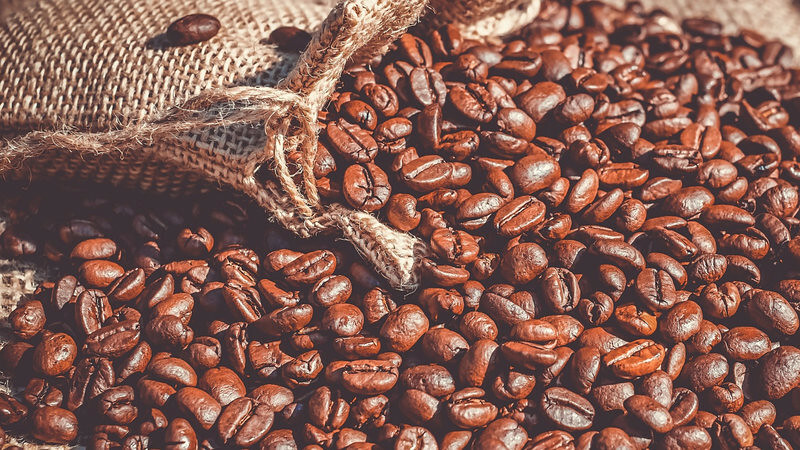 Coffee seeds decongest and potentiate blood circulation, which reduces swelling of the dark circles and, by blurring the dark tone under the eyes; the appearance of tiredness of the face disappears. The caffeine will serve to decongest the area. You can prepare coffee packs and apply to the eyes or on the eyelids with closed eyes for a few minutes. Take the opportunity to rest on a little, take a hot bath listening to relaxing music. You can also get on the market a product that has caffeine as the main ingredient. The application of ground coffee in the body helps eliminate dead cells. It can be used in facial or body masks that are very easy to prepare and have very good results. When applying the preparation, you only have to perform circular massages on the skin to cleanse it, activate the circulation and give it shine and softness. To prepare a homemade coffee mask, mix in bowl two tablespoons of plain yogurt(dahi), one tablespoon of brown sugar and one of the ground coffees. Apply on the skin with circular and ascending movements, let it act between 15 and 20 minutes and remove with warm water. Then, moisturize the skin with a moisturizing or nourishing cream. There are dual benefits, when you prepare coffee to enjoying the drink, remember to keep what is left in the filter and use it as a beauty product. It can help to reduce cellulite, remove dark circles, exfoliate the skin of your body and your face and look much prettier. Besides this, coffee has many health benefits, include lowering risks of developing type 2 diabetes. Some types of cancer-mainly colorectal and liver cancers. And also reduces risks of stroke, keeping heart healthy and improves physical activities. What is Bee Propolis? What Are The Benefits Of Bee Propolis? How To To Reduce Stomach & Lose Belly Fat Fast? How Do I Know If My Menstrual Cycle Is Normal?